After the 2-1 victory at Anoeta, which puts Barça top of the table, two points ahead of the rest. 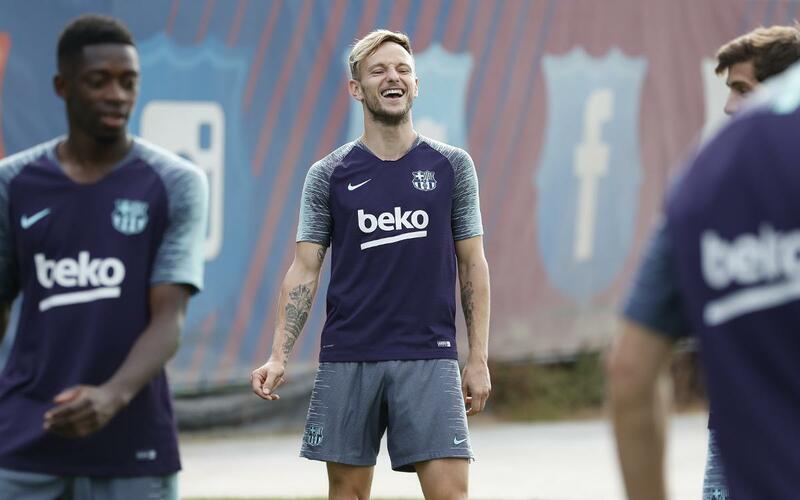 Valverde’s players returned for training on Sunday as their attention shifted to the first Champions League game of the season on Tuesday. The blaugranes will play PSV, who warmed up with a 7-0 victory over Den Haag, at home at the new time of 6.55pm CEST. This morning’s training session on the Tito Vilanova pitch saw the first team players as well as Barça B’s Oriol Busquets and Jokin Ezkieta. The starters completed a recovery session and Malcom returned to training with the group again. The squad will train on Monday at 7.00pm CEST in their final session before the return of the Champions League.